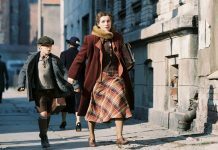 Not just a movie with a Coming-of-Age narrative, but a splendid portrayal of times long gone. 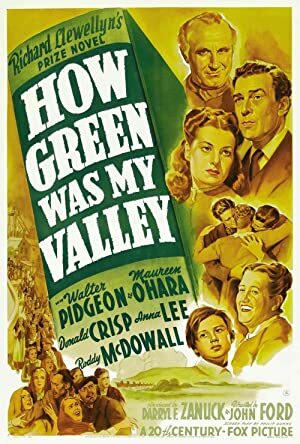 How Green Was My Valley exceeds any expectations one may have towards a film released back in 1941. With a story presented in memoir fashion by an adult protagonist reflecting on his youthful days growing up in a coal-mining town in Wales, in timeless fashion this classic Hollywood film delivers a cinematic experience as rewarding as the one people enjoy when reading a great novel. Although the narrator’s focus is his boyhood thoughts and emotions about the significance of previous experiences for his adult self, the portrayal of earlier events and people is so poignant that viewers have no choice but to deeply involve themselves with his story. And what a story it is — filled with wisdom, insights and a tint of bitter sweet nostalgia. Yet the quality of the narrative, and the dialogue within it, is only the beginning – for How Green is My Valley offers an impressive array of other qualities that turns it into a cinematic masterpiece: from its beautiful black and white cinematography, to the skillful use of lighting that guides the attention of the viewer, to the expressive looks of the young Roddy McDowall as Huw Morgan, the boy protagonist through whose perspective the story is told. Despite an unusually lengthy duration of nearly two hours, I wasn’t bored for a moment. 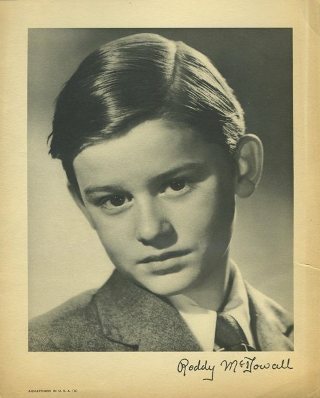 Like the best Coming-of-Age stories, the narrative addressed universal issues like first love, first days at school, bullying and many others in a unique manner devoid of clichés. Furthermore, the humorous scenes within it are fully capable of brightening one’s day, just as the grimmer ones take their toll on one’s emotions. There are few a imperfections present, such as the idealization of the “old days” (I find it hard to believe that miners sang when going into the underground pits), or the fact that the main protagonist never really ages on screen, but those imperfections are minor and do not really affect one’s overall appreciation of a story well told. I don’t hesitate for a minute in recommending this film to the fans of the Coming-of-Age genre, confident that even after reading my review of it, their expectations will not only be met, but exceeded.